Your Ultimate New Jersey Wedding Planning Resource! Welcome to BestWeddingNJ.com! Romance awaits you! Congratulations on your upcoming wedding! Our One-Stop wedding planning website for New Jersey Weddings is devoted to assisting you in planning the Jersey wedding of your dreams! This is your special day and you deserve to have the very best! Your treasured wedding memories are ones you shall remember forever. Planning New Jersey weddings are meant to be joyous, not stressful, and that is what we are here to offer you. At BestWeddingNJ we have done all the research for valuable Jersey Weddings services for you! We are here to lend a helping hand. No matter where you are in your wedding planning process, come discover what BestWeddingNJ.com has to offer you . . . and may you begin a lifetime of love and happiness! Plan your Ultimate New Jersey Wedding! When? Where? How? Create that perfect day you have always wanted! BestWeddingNJ.com realizes that no two New Jersey weddings are alike. We specialize in Custom New Jersey Wedding Ceremonies, Beautifully Personalized and presented with Joy and Love by the finest New Jersey Wedding Officiants. We also offer an array of wedding services for New Jersey Weddings. Find the perfect New Jersey Wedding Services: New Jersey wedding photographers & videographers, NJ wedding entertainment, Jersey DJs, wedding flowers, wedding cake, wedding invitations, horse-drawn wedding carriages, costumed trumpeteers, limousines, tuxedos, tent rentals, ice sculptures, New Jersey wedding reception halls for Jersey weddings and much more! Come celebrate the beginning of your new life with us and start your search below. The possibilities for a memorable wedding day are endless! 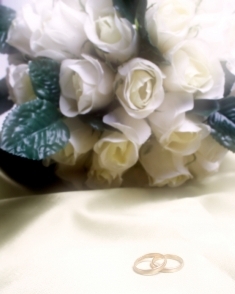 BestWeddingNJ.com provides simple, romantic ceremonies for New Jersey weddings starting from $375.00. We can also perform weddings at the location of your choice. If a more elaborate and customized New Jersey wedding ceremony is desired, we will personalize an inspirational, elegant wedding ceremony perfect just for the two of you for $475.00. Create a picturesque Jersey Shore Wedding, Set sail for a small Boat Wedding or Waterfront View ceremony (small wedding) at no extra charge! 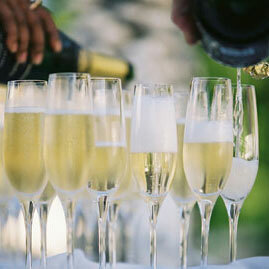 Our ceremonies for Jersey Weddings can be conducted in English or Spanish. (Podemos conducir la ceremonia de boda en Español). Call now for a FREE consultation to personalize your New Jersey Wedding Ceremony! If you are getting married in New Jersey, you will find the information on our web page New Jersey Marriage License helpful to you in planning your New Jersey wedding. Read it carefully for it is essential that you understand the regulations and that you follow them precisely. Click here to find your local New Jersey Resistrar. CLICK HERE now to meet our wonderful New Jersey Wedding Officiants!